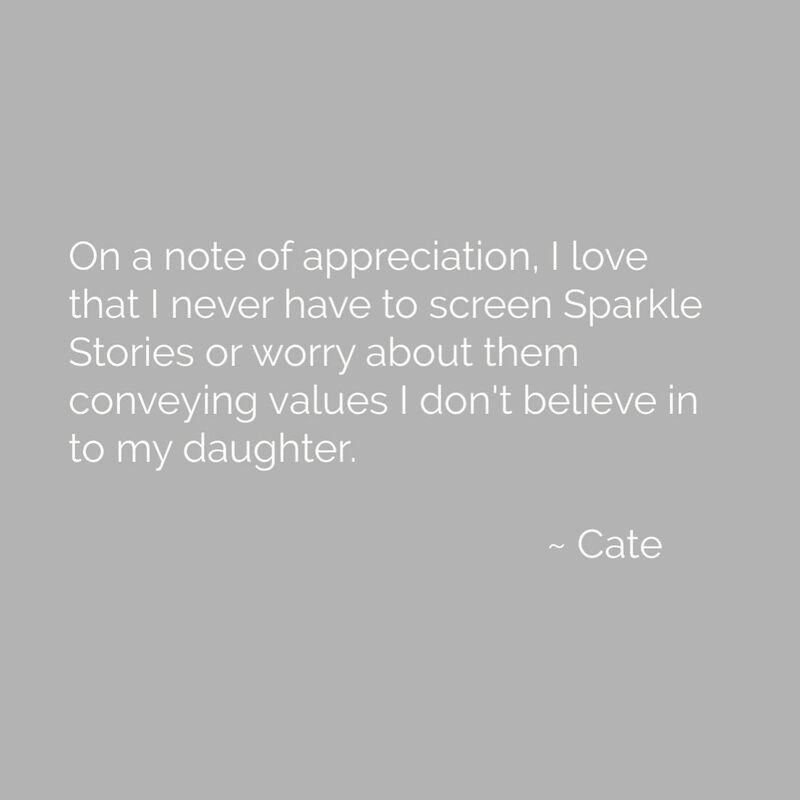 On another note of appreciation, I love that I never have to screen Sparkle Stories or worry about them conveying values I don't believe in to my daughter. Every one of the hundreds of stories is beautiful, ethical, and wholesome. Amazing! !